They have a great metro system- recommended way to transport around the city. The metro is serving 35 stations, divided into two lines: Line 1 (orange line) serving downtown area and the touristic areas and Line 2 (green line). City buses are inexpensive but cost more if you want air condition. They run very fast in Rio. 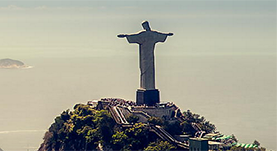 There are also Frescao which is more expensive and take you around the famous beaches Cobacabana, Ipanema and Botafogo. Taxi system works in Rio quite good and the cars are yellow. Always determine the price before departure – if the taxi does not have meters and it usually starts at 3 real. In the evenings, it is a higher cost. You find the approx. cost for a trip at Numbeo.com. You can take a ferry to visit Niteroi. If you go buy train you will come to the central parts. 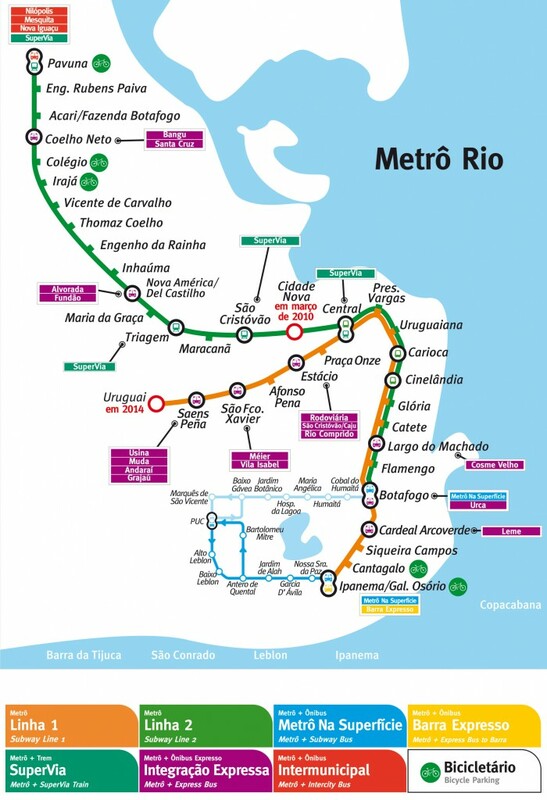 In Brazil, there is one rail network for passengers and one for freight. Train services are mostly used for freight and passenger services are not nearly as developed as bus services.